"I heard it said that ""writing is for suckers."" Well, I see the idea. 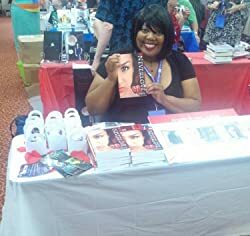 I'm a sucker for a thrill ride, a book boyfriend to crave, a hero or heroine to cheer for, a villain that makes me ponder the what ifs, a storyline of adventure, and weaving words offering bridges to escape. In this case, I guess I am a sucker"
Please enter your email address and click the Follow button to follow Angela Brown!